Directions are very important. The right directions will be the key to make it to the desired destination. The Word of God is a book of directions. It outlines the route to make it to the most wonderful destination known to mankind...the Eternal City of God...Heaven! 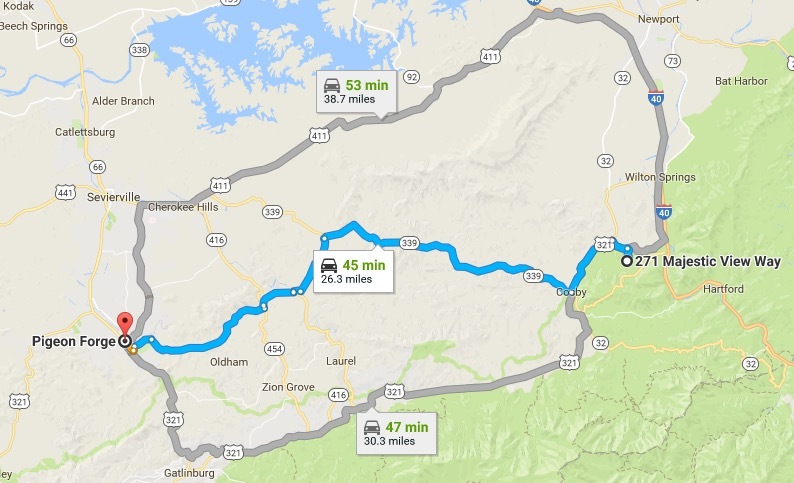 This week I gave directions to people to take the best route from our cabins to Pigeon Forge. My directions were clear and simple. However, they were not followed, and as a result they got lost on a narrow curvy road that went from pavement to dirt. Through God’s providence, a sheriff was in the back country, and came to their rescue. Two and a half hours later they finally made it to their destination. When we met them at an agreed place, they told us about their incredible experience. I know the wrong road they had taken because Bess and I have taken that road before. I marvel that a sheriff was parked in the remote area and led them out. Let’s stay on the right road! Since Bess and I arrived here at our cabins on May 22nd it has been non-stop for us. That means 2 months have already passed. People told me that would happen...time zipping by quickly, but I didn’t believe it. I thought time can’t pass any faster than it is for me as a pastor. Guess what? Now I am a believer, because it is happening! 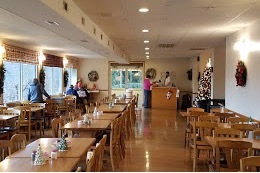 I guess the main reason is because we have been working continuously at our cabins, inside and out, and they look great! We are having a great time! Can you believe Charles and Bess Kirby have become gardeners? Our knock out rose bushes look great! Just yesterday a tragedy happened. We lost connection to the outside world through television (Fox News) and I am to blame. Planting 10 beautiful yellow plants, I cut the Direct television communication line, and our television went blank, along with the Snuggled-In renter's TV. I did it with my shovel digging a hole for another plant. Last night and today the television remains black, and will be until the man from Direct TV comes to repair the mess I created...and it is such a beautiful yellow plant! Guess what the Holy Spirit has said to me through it all? It is so easy to lose connection with home and with our dear Lord. The Holy Spirit is our connector, but the communication line must never be cut in two. It is a fact, so many people have no communication with home because the line directly to the Heavenly Father has become occupied with other things of lesser importance. But it is such a beautiful yellow plant! Let me appeal to you NOW to check your communication line. If there is something in your life that is blocking the flow of the Holy Spirit, repent and let Him repair and open the line directly to the Father. He is waiting on you! Holy Spirit, we really do need You! Not very far from our cabins, just on the edge of Ashville, is an incredible place. When I am there I feel like I am standing on holy ground. This tremendous place is THE COVE, part of the Billy Graham Evangelistic Association. Bess and I have been there twice. It is a very beautiful place, and a dream of Ruth Graham to honor her husband. 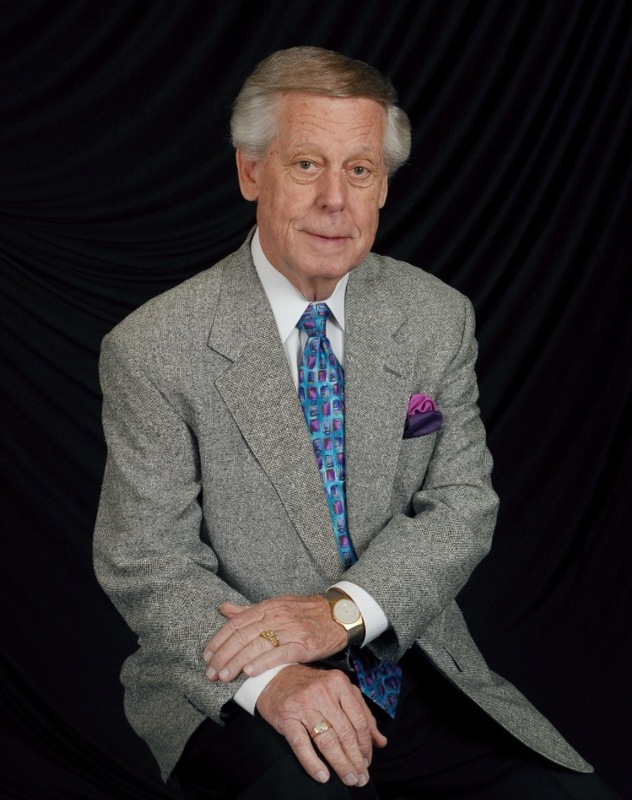 It traces his life and ministry from the beginning. There is no charge for taking the tour and visiting the museum. The Lord willing, we are planning to go back again to hear the Collingsworth family on August 19. Bess and I are continuing to beautify and upgrade our cabins. 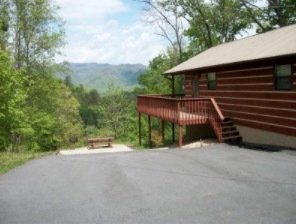 You can see some of the upgrades by going to our cabin website at www.themajesticview.com and taking a tour. New pictures of both cabins have been posted. Bess has done a good job taking new pictures, and Duane Kendall, our webmaster has included them. We appreciate all of our friends that are telling others about our cabins and the rental possibilities. More and more people are discovering the beauty of our location. 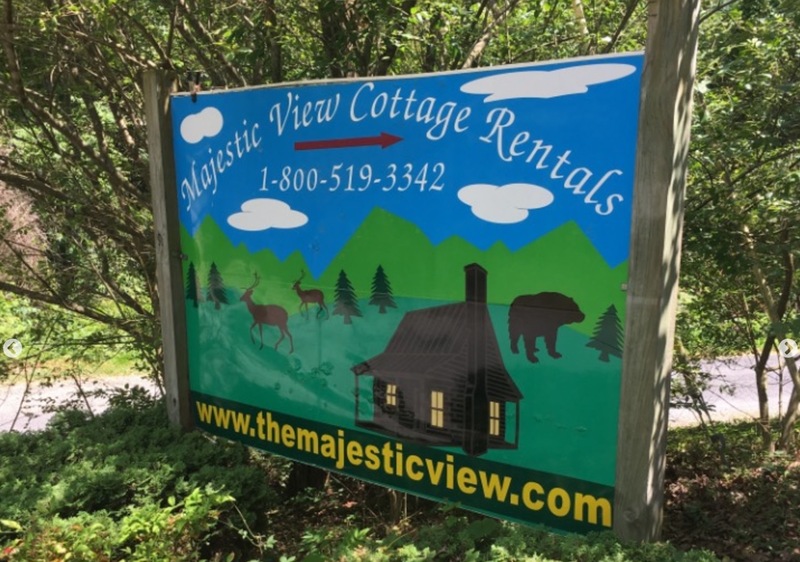 Driving up Majestic View Way to the cabins is a heart-warming experience for me every time I make that drive. We are grateful for all of the wonderful comments of the glorious majesty that surrounds us in these fabulous mountains! This past Lord’s Day was the best spiritual Sunday I have experienced since making our cabins our summer home in retirement on May 22. One reason it was so wonderful is that it was just like Lake Gibson when I was the pastor. It reminded me of home. The music by the choir, orchestra and congregation was tremendous! The inspiring and anointed exposition on Gideon and his small army of men reminded me of a message I have preached. Pastor Haun, Sr. pastor of First Baptist Morristown did a fabulous job feeding my soul! The music was the best we have experienced in all of our visits to a variety of churches in the area. As we waded through the crowd of people leaving the worship center, Bess said to me, “This was our best worship experience!” I agreed with her. On our way to the car I was talking to myself. It went something like this. “Why can’t churches today understand what true worship really is? People need a variety of music that is blended to include hymns that are filled with Bible doctrine and the exposition of God’s Word directly from the Scriptures.” That is exactly what we experienced! It was a God and Country morning with the worship center ablaze with red, white and blue. As a matter of fact, Bess and I looked at one another when pastor Haun said, “I know some churches don’t have God and Country day any more, but as long as I am the pastor here we will continue to celebrate America on this day.” It reminded us of someone else that has said the same thing. BESS AND I JUST RETURNED FROM LAKELAND THIS AFTERNOON. 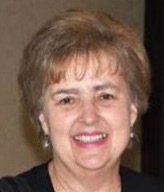 I PREACHED THE FUNERAL MESSAGE YESTERDAY MORNING FOR CAROL WILSON, ONE OF MY FAVORITE LADY CHURCH MEMBERS. SHE AND DALE, HER HUSBAND, HAVE BEEN FAITHFUL MEMBERS OF TWO OF MY CHURCHES, MELBOURNE FIRST AND LAKE GIBSON. EVEN THOUGH IT WAS A “QUICK TURN AROUND TRIP,” IT WAS A SPECIAL HONOR FOR ME TO MINISTER TO DALE AND HIS TWO SONS AND FAMILIES. PLEASE KEEP DALE IN YOUR PRAYERS. AFTER 64 YEARS OF MARRIAGE, THE ADJUSTMENTS WILL BE A CHALLENGE FOR HIM. SUNDAY IS JULY 2ND. 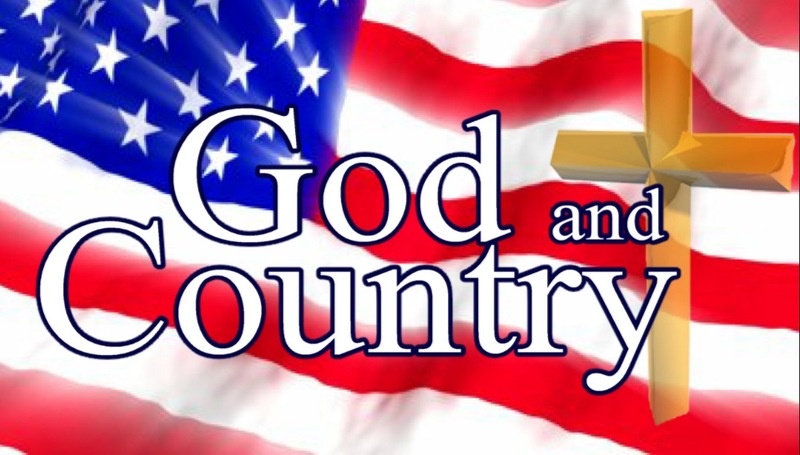 THIS IS THE SUNDAY THAT HAS ALWAYS BEEN GOD AND COUNTRY DAY IN ALL THE CHURCHES I HAVE PASTORED ACROSS AMERICA THROUGH MY 56 YEARS OF PASTORAL MINISTRY. SINCE I WON’T BEGIN MY NEW MINISTRY TO OTHER CHURCHES UNTIL JULY 30, I WILL BE SITTING IN THE WORSHIP CENTER PEW BOOSTING PASTOR HAUN, AND ENJOYING THEIR CHOIR AND GREAT MUSIC. SINCE I WILL NOT BE IN THE PULPIT SUNDAY TO DELIVER MY GOD AND COUNTRY MESSAGE, LET ME PREACH TO YOU. THOSE OF YOU WHO KNOW ME KNOW I AM A “RED-BLOODED” AMERICAN. EVERY DAY I AM THANKING GOD FOR OUR PRESIDENT, DONALD J. TRUMP. HE IS DOING WHAT HE PROMISED IF ELECTED. I RESIST AND RESENT WHAT THE LIBERALS AND MEDIA ARE TRYING TO DO TO STOP HIM. BESS AND I DO NOT WASTE OUR TIME WATCHING AND LISTENING TO CNN, NBC, ABC, CBS AND ALL THE OTHERS THAT ARE AGAINST HIM. WE WATCH AND LISTEN TO FOX NEWS ONLY, THAT REFUSES TO BE POLITICALLY CORRECT. MAY OUR LORD GOD BLESS AMERICA AND PRESIDENT TRUMP ON OUR 241ST BIRTHDAY!! P.S. HAPPY BIRTHDAY TO MY SON, CHARLES LEE KIRBY, JR ON JULY 3RD!! YOU WERE ALMOST A FIRECRACKER! Lake Gibson Church outreach continues to amaze me! I am continuing to be confronted by people who have seen me on the internet through Lake Gibson church services. A few days ago in two different restaurants, two couples told Bess and me they have heard me preach on the internet and really enjoyed the church services. Several people from Ohio and North Carolina introduced themselves to Bess and me at Dollywood and said they really love our services and ministry. 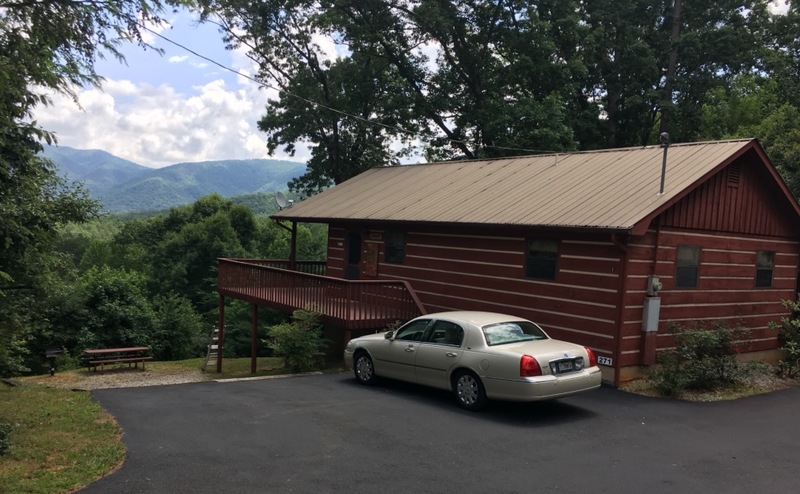 On top of all this, two couples from the Newport area that have been watching the services from Lake Gibson, invited us to join them for dinner last night (Thursday) at Carver’s Apple House, one of our favorite restaurants in the Smokies, just ten minutes from our cabins. It was a very delightful evening! They were so gracious and kind to us in their expressions. In the past, I have told you about a lady (Anita) that told me in Wal Mart that she watched our services. All of this is incredible! Our dear Lord has certainly blessed this tremendous ministry that reaches across America and to other countries of our world. I am reminded it takes preparation in music and preaching to make this ministry effective. A faithful and dedicated media team sends the services out every week so people can view and worship. Without them, this ministry would not be possible. Also, people sending financial support really does help. My heart has been warmed many times when I have opened envelopes containing checks and very gracious notes. 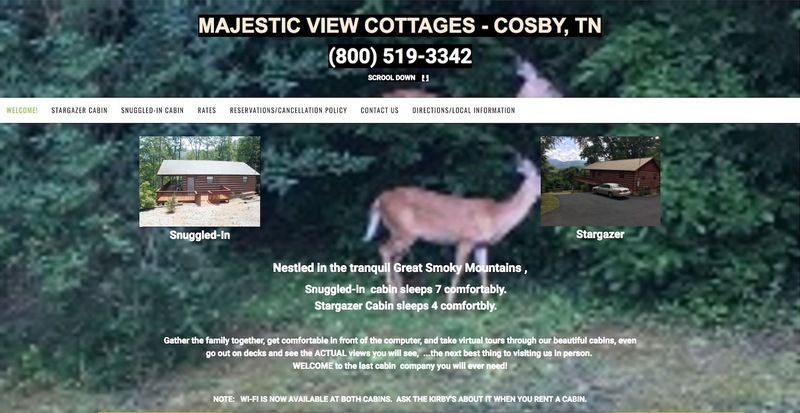 Our cabin website at www.themajesticview.com is being updated by Duane Kendall, our wonderful webmaster. If you go there, you will see some of the upgrades, new pictures, etc, in both cabins since May 22nd. Bess and I really have been busy. Yes, I have cut down four more trees this past Wednesday and it looks great! Those of you that have stayed at our cabins in the past will see the difference we are making. We urge you to book a date and come back. It is our life-blood in these retirement days. For others of you that have not been to our area here in the Smokies, we urge you to check it out. There is so much to see and to do. Please call us at 1 800 519-3342 to book a date. May our dear Lord bless all of you! 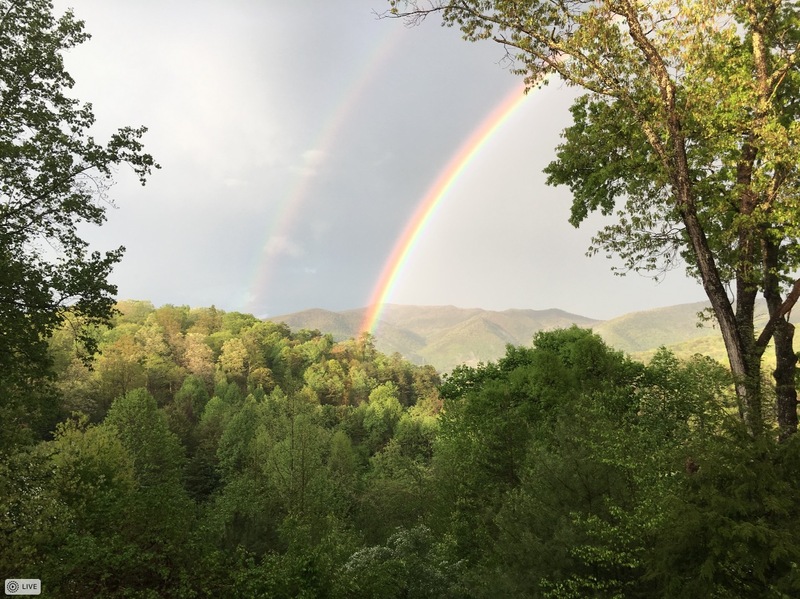 As I sit on the deck of Stargazer cabin looking at the glorious mountain peaks, I am reminded of the peaks in all of our lives…some high and some low. Our up and down emotions describes all of us. At times we are on the mountain peak, and perhaps soon thereafter we are on the valley floor. Bess and I just completed our morning devotional time with our Lord, and these moments with Him assures us His love, mercy and grace is never up and down, but is consistent and faithful to all of us through every situation we may face. “Looking unto Jesus, the author and finisher of our faith,” He always must be high and lifted up in our lives every day. I have been talking to you the last few weeks about our four grandsons, Chase, Cody, and Michael. Today I am featuring Kyle, our fourth and oldest at 23. He lives in Tallahassee where he obtained an AS degree. He has been certified by the State of Florida in Leon County as a paramedic. He really loves it. When he found out I was on an emotional journey after my retirement, he called me here at our cabins to encourage me, and lift me up from the valley floor to the mountain peak. His wisdom amazed me and really made me proud! We are planning to play golf at the beautiful Smokey Mountain Country Club near by when he comes to our cabins. It is an incredible golf course, and you guessed it, with high peaks and low valleys. I was there a few days ago and tried to conquer the peaks. I really enjoyed the challenge and did not do bad. I really love that place! The 3rd grandson I will recognize in this blog is Michael. He is in the Navy and stationed in Hawaii. He got a good start on a Navy career by spending four years in R.O.T.C. in high school in Lakeland. Since joining the Navy he has already visited several countries in our world. He calls us every time khe is in a new port. He is advancing in rank and loves the promotions, especially the increase in pay. He is thinking about making the Navy a career at this present time. Kyle, our 4th and oldest, is next up. You will hear about him next week. We have worshipped in three different churches during this time here. Sunday will be another one. I will be writing later what we are experiencing. It is exactly what I had expected. It really is a sad day for the Church in general with so many many people searching. The harvest is ripe! We are seeing people up here that have watched me on the internet, and some that have attended the services at Lake Gibson. It is very heartwarming to hear their comments. In blog 7 I started telling you about my 4 grandsons. I began with Chase who just graduated from Wade Christian High School in Melbourne with a 4.0 grade point average. Cody is the brother of Chase. He is on the staff at Calvary Chapel, a mega-church in Melbourne. He works as a computer specialist, and really loves his ministry. Cody maintained a 4.0 grade point average through high school at Wade Christian and in collage at East Coast University in Melbourne. He played basketball at Wade Christian for four years and has served as an assistant coach for the Junior Varsity at Wade. He is an outstanding young man with a heart for God. 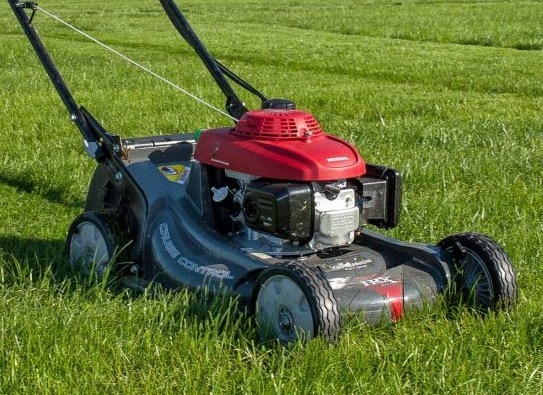 My first mowing and weed eating challenge was completed on Wednesday, May 31. It is a fact, I really don’t need a fitness center to work out. 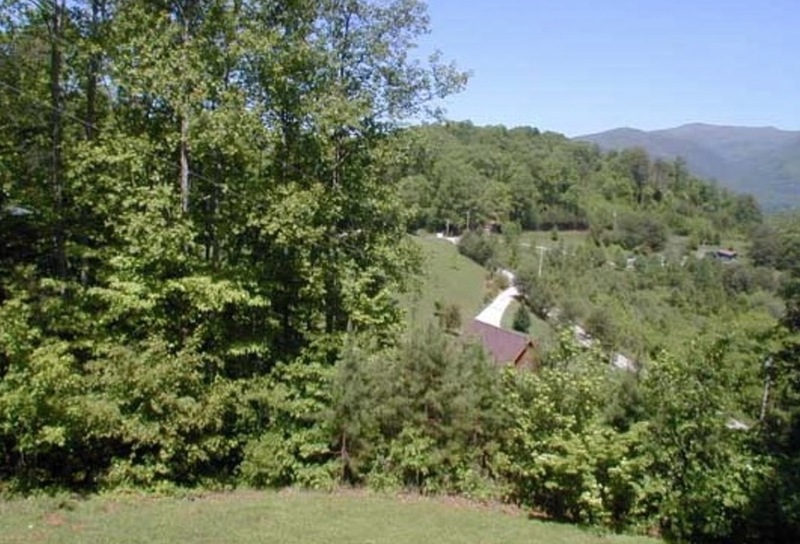 I will get all of the exercise I need with my mowing and weed eating on the slopes of Majestic View. By the way, it really does look good! I guess I should be proud of myself, and I am! A fabulous happening just occurred as I started this blog on Friday, June 2. My secretary for 16 years, Kaye Simpson, has encouraged me for some time to write a book about my life and ministry. I did talk to a publisher, but was too involved to pursue the possibility. However, the phone call that came about two hours ago was thrilling and encouraging about the book. In the mid 70’s Bob Harrington, the Chaplain of Bourbon Street, told me I should write a book about my life experiences. Since then I have had two miracle healings of cancer. So a book just might be in the making. Having a great time in the beautiful smokies. Bess and I just saw a deer in front of our Stargazer cabin. 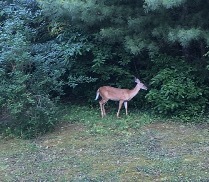 Bess took the picture of the deer. Are you fighting a battle today? On whose armor do you have? Did you put it on today? Do you seem to be losing the battle, making no progress? Are you sad, depressed, feeling hopeless? Are you willing to learn the best way to fight your battles? Well, take heart. God’s word says, “The battle is not yours; the battle is the Lord’s.” This is a divine word. Put on the whole armor of God. I’m praying for you. My last few blogs have been about this area of the country that we call our 2nd home. I’ve talked about the churches, law enforcement, neighbors and friends (old and new). Now we will conclude this series of blogs, talking about the scenery. It is beautiful. Have you ever seen anything as lovely as a tree??? There are all sorts of trees; evergreens, dogwood, all type of flowering trees, cedars, oak, pine; you name them. Charles and I love them; even though he cuts some down and we pay some others to top many of the trees around our cabins so we can view the mountains. Charles says he can hear them growing. And the trees draw a variety of beautiful birds. What can we say about God’s playground? It is spectacular!!! Let’s talk a minute about God’s stairs to Heaven; climbing those sparkling mountain stairs. Climbing, viewing, or driving up those hills of God, one encounters the awesomeness of God’s creation. One may discover a waterfall or an endless, panoramic view of a range of mountains. These mountains declare the glory of God. The beautiful green valleys reveal to us God’s majestic creatures. In them, we discover herds of elks, deer, bear, peacocks, and other animals. Oh, how excited we get when we see some of these. It is a pastime for Smoky Mountain visitors. God has made everything beautiful. 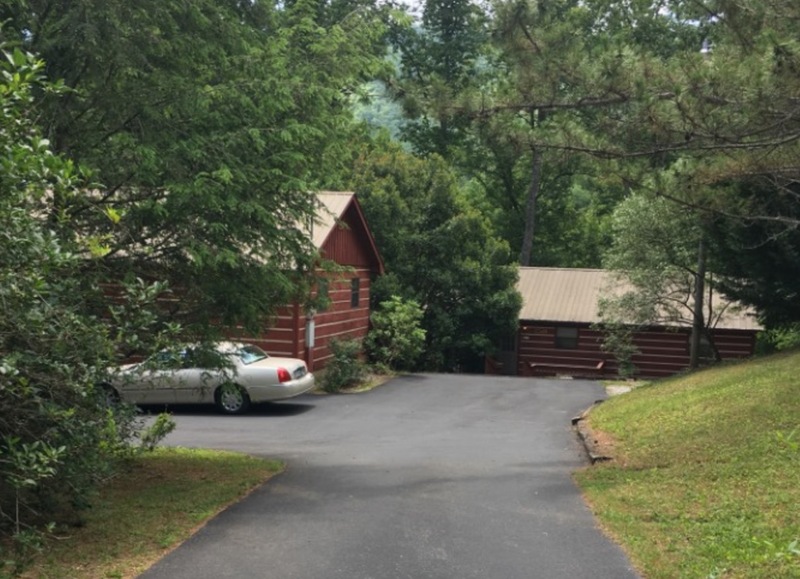 Our cabins are surrounded with trees. From our cabins, we can see God’s mountains. 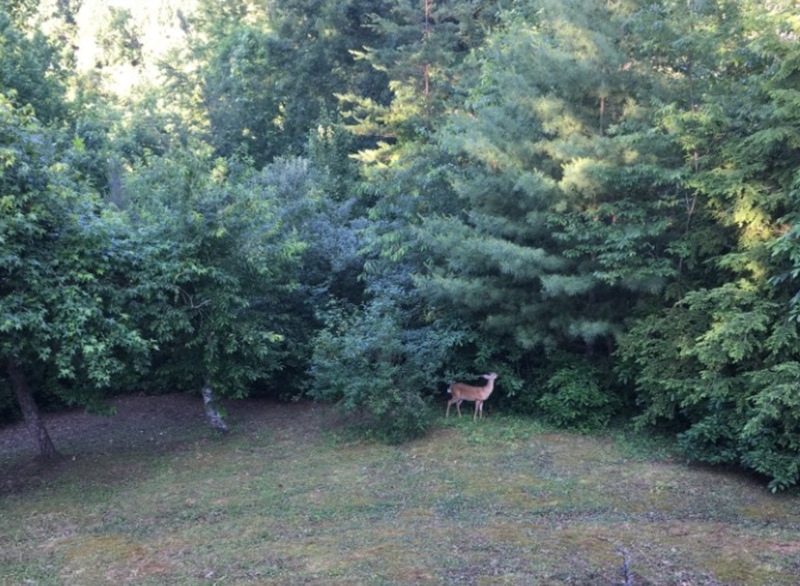 And close by, we can look in the valleys for elk, bears, and deer...even deer and peacocks in our own yard. And what about rivers and lakes? Our cabins are about 5 to 10 minutes from the Pigeon River, a place to fish, do water activities like whitewater rafting, etc. We are about 20 miles from big Douglas lake where people boat and fish. The French Broad River is also in our general area. All this gorgeous scenery is the product of God’s great and majestic creation.It was and is good! Thank you, Lord, for this great gift to us. I’m enjoying God’s playground. I’m blessed, so blessed. How are you feeling today??? Hopefully, blessed beyond measure! Family and Friends, old and new, are a great part of our blessings. Thank you for being our friend. When you move to a new place, you need to find new friends. And, yes we have. Recently, we’ve had visits from family and some longtime friends. Micki,Bob,& Chase, our family and Jay & Pat, our longtime friends, got to visit with us in these beautiful TN mountains. What a joy and blessing. We’ve been meeting a new neighbor/couple from Kansas City...so nice. We’ve been enjoying our other neighbors, some from Texas, some from Michigan, some local. Most of our neighbors are Christian; maybe all. What a delight; what a joy; what a blessing. And how about those retired college friends and retired preacher friends and other retired Florida friends who live here or have cabins here??? Now do you call that blessed? I do. What great fellowship! What great fun! 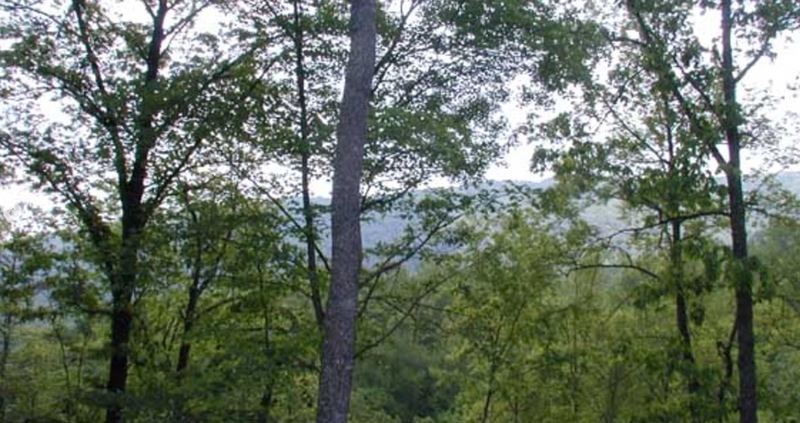 This Smoky Mountain area gets thousands of visitors every year. I’m sure on any given day, someone would be in the area that we know or who know us. There is so much to do and see here. Our 2nd home is an exciting place to live. So thankful for our primary FL home and this 2nd cabin home. We love both places and both peoples. Until next time, be blessed. Our ministry continues as we serve God in retirement. God uses us in prayer, in conversation, in preaching/speaking, in cooking, in singing, in writing, in helping,and in many other ways. We thank God for giving us opportunities to serve Him in our comfort zones, as well as, opportunities in new and different ways. 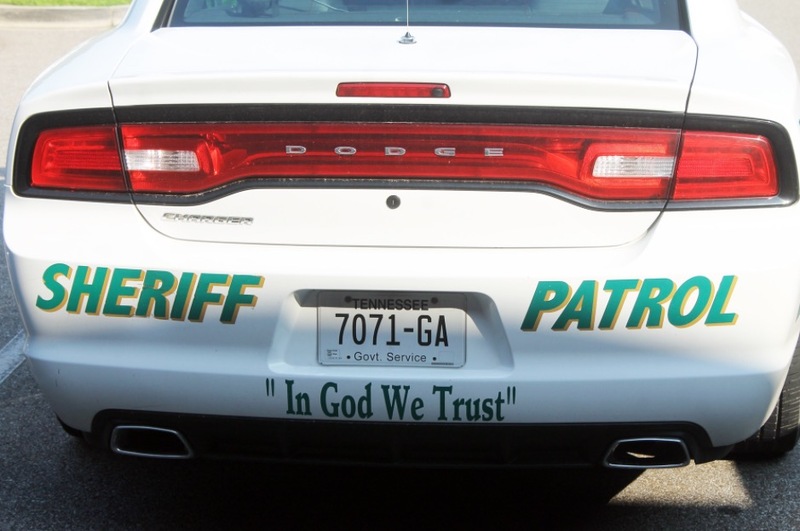 Upon our presence here in Cocke county, we’ve been delighted to see on the back of law enforcement officers’ cars, this saying, “In God we trust”. And it’s in bold “stand out” letters.We understand from people in the community that Cocke county’s sheriff is a christian and when he writes articles for the THE NEWPORT PLAIN TALK newspaper, he often gives his testimony at the end of it. Interesting fact, the Newport Plain Talk newspaper has been in existence since 1900. Serving Christ is more than newspaper articles, lip service, sayings on cars, church buildings, even going to church. It is being a true follower of Jesus Christ. It is practicing what you preach. It is living for Christ and serving where the rubber meets the road. It’s a heart after the heart of God. I want to be that type of Christian...that the world may know Jesus and His love. 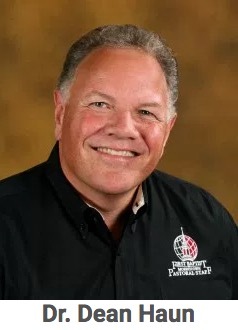 But let it be known that I am so thankful for (1) all the God honoring churches in East Tennessee (2) all the Christian law enforcement officers who drive those “In God we trust” vehicles and (3) all the Christian neighbors and friends in this community, town, and area. East Tennessee is our 2nd home. We love this area and these people. (Lest you forget, our primary home is the paradise called Florida. We love that area and those people.) This old time religion makes me love everybody. Happy 4th everyone. And a happy birthday (the 3rd) to my wonderful son. Love him so much. And to my niece, Angie, Happy birthday on the 4th; and to my brother, Fred, happy 15th. Well, God is good; life is good. I thought I’d begin introducing you to our new community/area. I’ll give you a bird’s eye view during the month of July. So stay tuned!!! Our community is COSBY; the nearest town is NEWPORT; and our county is COCKE. It appears to be a church going area. There are churches EVERYWHERE. The pre-dominate denomination is Baptist. 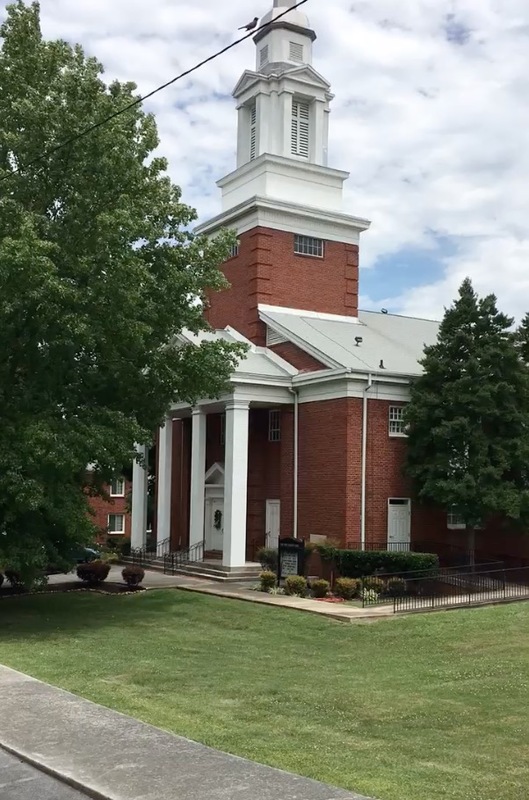 Next, I’m guessing, would be Church of God (Cleveland) since Lee University is in the East Tennessee area. Then there are lots of other churches, like Presbyterian, Lutheran, Episcopal, Catholic, Nazarene, Methodist, and independent churches. 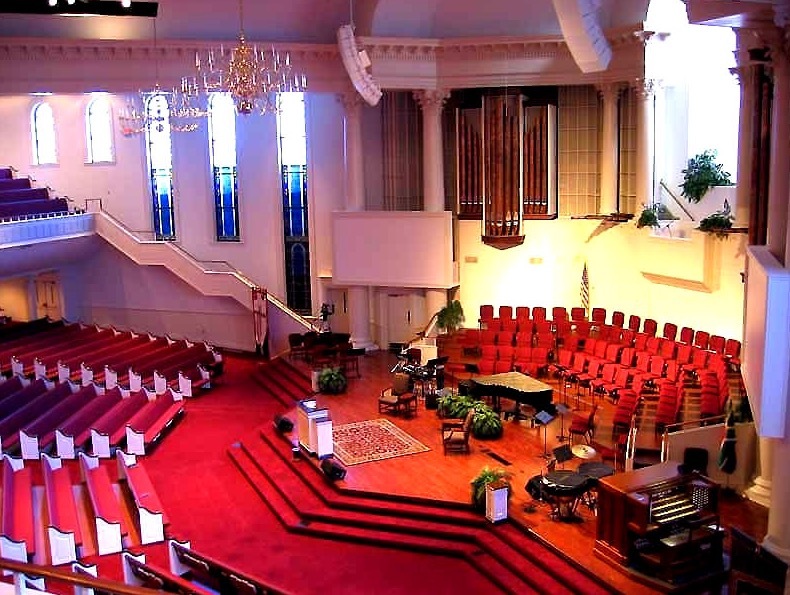 Most churches are small in size. It appears as if many churches have a split over problems, and then a another church is started. Anyway...we have churches galore! We have visited First Baptist churches in Pigeon Forge, Gatlinburg, Newport, Sevierville, Dandridge, and Morristown. Recently, we saw Clayton of TRIUMPHANT fame at Sevierville Ist Baptist. 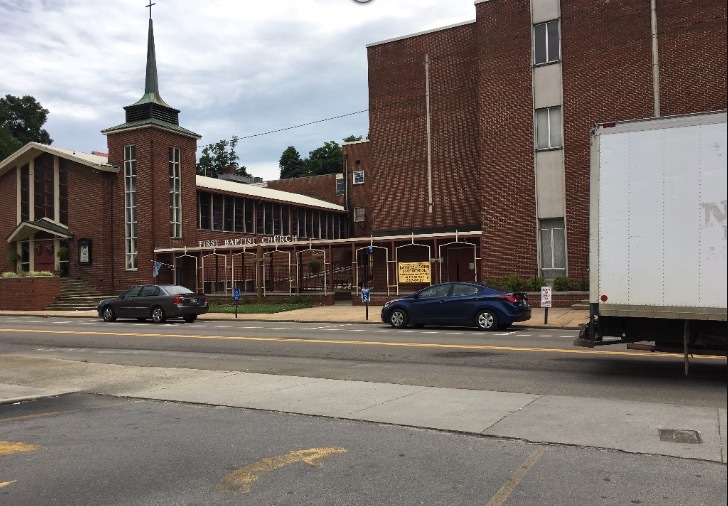 We’ve been to other Baptist churches also; been to First Church of God, First Methodist of Newport and Liberty Church of Cosby. 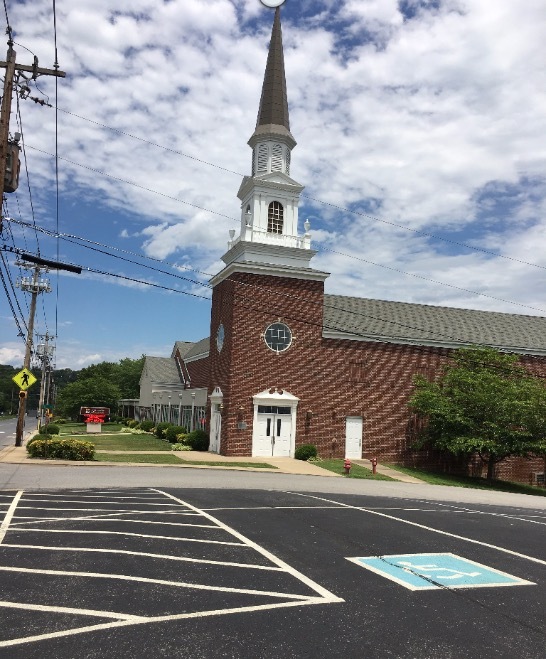 We do plan to visit one church that meets in the theater in NEWPORT. One of our neighbors goes to this church. We are glad to be in a religious minded community. We are blessed. I love His House and His Family. There’s something special about these mountains. We’ve been here for about 4 weeks...done a lot of work, seeking to improve our cabins as we can, and, of course, we’ve sat on the porch, looking at the mountains, enjoying this area of the country. We miss our pastoral ministry life; miss our loving church family, but God has a new plan for us now. And we will follow that plan. Where He leads, we will follow. We are making new friends, adding to that list of “old” friends. Here’s an encouraging word from the Lord for us all today. Maybe someone needed those scriptures today. Be blessed by our wonderful Lord. I’ve made up my mind that I’m gonna’ have a great day!!! I want to say a special “HAPPY FATHER’S DAY” to 5 wonderful men in my life, Gus Pearson, Charles Kirby, L.O. Kirby, Chuck Kirby, & Bob Luetkemeyer. How blessed I’ve been...and how blessed we all have been if our parents had Godly parents. My dad, Gus, and Charles’ dad, L.O., each had a rich Christian heritage, having been taught the scriptures by Christian parents. Even if one had wandered away but for a season, their rich biblical heritage would have steered them in the raising of their children in the right way. This week I thank God for my father, Gus, now deceased, who raised me right; I thank God for my husband, Charles, who raised our children right; I thank God for Mr. L. O. Kirby, my father-in-law, now deceased, who raised Charles right; I thank God for Chuck, who used the Christian principles instilled in him as a child to guide his 2 boys, our grandchildren in the right direction; and I thank God for Bob, our son-in-law, for being such a Godly father, raising their 2 boys, our grandsons to serve God. The Godly heritage continues...To God be the glory. AM I BLESSED, OR WHAT??? Yes, I am. Love to all these men!!! today? Not only does He speak with gentleness & kindness, encouraging and strengthening us for each new day; but, God teaches us, admonishes us, even chastises us. Whatever He is saying to you today; the question is, are you listening? Yes, Lord, speak for your servant is listening. Has your sin been uncovered? Are you being tempted to do something that is not Christ-like nor Christ-centered? Have you been neglectful in visiting the sick; or, doing what God wants you to do, whatever it is? How is your prayer life? Are your tithes paid in full? day without Him. Clean me up Lord. Live your life through me, Jesus. Teach me Your ways. What do You want to say to me today? I saw this on a church sign recently and it spoke to me. That’s what I’m asking myself. All through Isaiah, you will find the words, “Listen to me...” Thumb through Isaiah and see. Good advice from God’s Word. Trouble comes in many different forms; heartache, sorrow, sickness, hurt, anger, fear, despair, discouragement, anger, and many other ways. Trouble, also, is no respect of persons. What are we to do? Is there help anywhere? You can’t get better than that!!! Count me “Listening” .